Are you suspicious that your pool may have a leak? An un-repaired leak obviously wastes water, but it does more than that. Heating and treating new water that has to be added to replace that which has been lost can cost a pool owner hundreds of dollars per year. In addition, costly structural damage can result from leaking water that erodes supporting soil or causes moisture damage to surrounding structures. If you notice any of the symptoms above, we can pressure test your plumbing lines to confirm whether you have a leak in the plumbing or the liner. 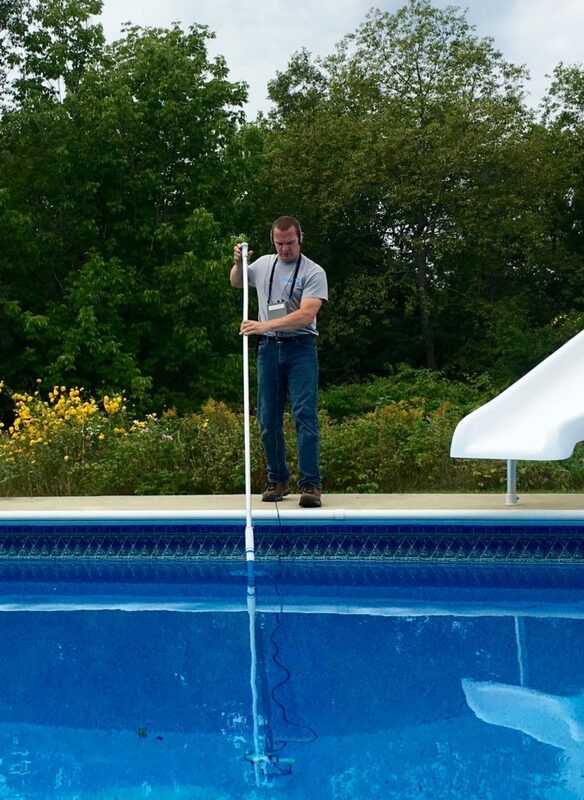 Based on the results of the pressure test, the technician may then use a variety of sophisticated electronics and or diving equipment to pinpoint the pool leak. Once the leak is found, we can then provide you with repair options that we can perform. Call us today – (207) 469-6004 – to set up an inspection.